Congress’ short-term spending bill signed on Jan. 22, 2018 ended the nearly three-day government shutdown. As this spending bill only appropriated funding for government operations for three weeks, however, and does not resolve the underlying political disputes, it is unlikely to put an end to shutdown politics for good, or even for long. Participants in the federal market would be wise to review the issues and challenges presented by shutdowns in order to remain prepared for what may come. What Activities Can Continue During a Shutdown? 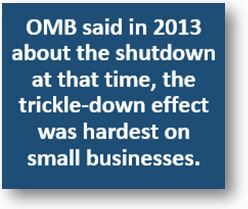 During a shutdown, federal contractors must determine whether they may continue performing. A government shutdown is not a self-executing stop-work order; a shutdown itself does not suspend a company’s obligations to perform or the government’s obligation to pay for performance. What matters is whether a contractor’s work requires any new appropriation or authorization of spending, and whether critical government personnel, facilities, and resources are available. Government employees aren’t the only ones who are wondering what they’ll be doing on Monday if Congress can’t reach a budget agreement; federal contractors are also facing a lot of uncertainty. Government contractors are often overlooked when it comes to the threat of a government shutdown. And as the most current threat becomes more and more real, many are waiting for guidance from their agency customers. 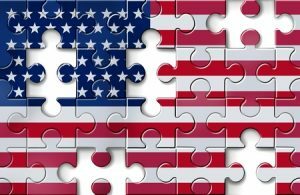 PSC, the IT Alliance for Public Sector and the Coalition for Government Procurement are offering resources centers for contractors as they plan for a possible partial shutdown. With yet another government shutdown looming, contractors face a number of uncertainties and challenges that warrant close attention — regardless of whether a shutdown takes place or how long it lasts. unexercised and deferred contract options. Below we offer six suggestions to help address key areas impacted by a shutdown, including contract funding, internal and external communications, recordkeeping, and deadlines. The Pentagon has recalled 90 percent of the 350,000 civilians furloughed last week, including acquisition, contracts and logistics personnel. But, as Defense Secretary Chuck Hagel made clear in his recall memo, due to the fact that the Pentagon doesn’t currently have an appropriations bill, those folks don’t have any money to buy stuff. The Pentagon brought back most of the furloughed civilians based on an interpretation of the quickly written Pay Our Military Act, signed by President Obama on Sept. 30. The law says furloughs don’t apply to civilian employees whose responsibilities contribute to the morale, well-being, capabilities and readiness of service members. Contractors in recent weeks have complained about losses in productivity from preparing for a potential government shutdown, but worse impacts are almost certainly on the way now that the closure has taken effect. The Department of Homeland Security warned of what would be in store last week in a letter to partner firms. “As a consequence of the lapse, certain planned procurements may be cancelled and certain existing contracts may be stopped, reduced in scope, terminated or partially terminated,” the memo said. DHS promised to notify businesses of any changes that would be necessary, but the answers cannot come soon enough for some firms. A recent Post article quoted company planners saying they found it nearly impossible to determine how the shutdown would affect them because of the many variables involved. 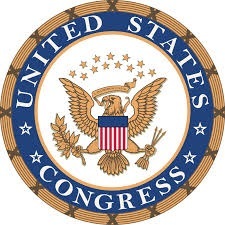 Among the factors to consider: Whether contracts are covered by past or future congressional appropriations — the latter would require a new spending deal from lawmakers and the White House – and whether their workers are exempt from furloughs because they assist with essential government functions. Agencies on Friday began posting their contingency plans online to prepare for a possible government shutdown on Tuesday, Oct. 1. If the government closes, approximately 800,000 federal civilian employees could be furloughed. Those placed on unpaid leave will receive official furlough notices on Oct. 1, if necessary. We’re compiling a list of agency shutdown guidance as it’s posted. We’ll continue to update this information over the next few days as agencies publish their plans. The Office of Management and Budget also will link to agencies’ guidance on its website. Click here to read the 2011 contingency plans that agencies prepared the last time the government nearly shut down. The threat of a federal government shutdown is even more bad news for a defense industry struggling to weather sequestration. Following a summer of Pentagon furloughs and with other sequestration cuts starting to sink in, the government — caught between a gridlocked Congress and a dug-in White House — is marching to the brink of a complete halt, which industry sources say could do irreparable damage to defense firms. Defense contractors would have to work in a vacuum, she said, when normally they rely on give-and-take with government employees. “The government will cease to function, except for a very limited number of essential people,” she predicted. Keep reading this article at: http://www.politico.com/story/2013/09/defense-firms-brace-for-hard-hit-of-a-shutdown-97179.html.